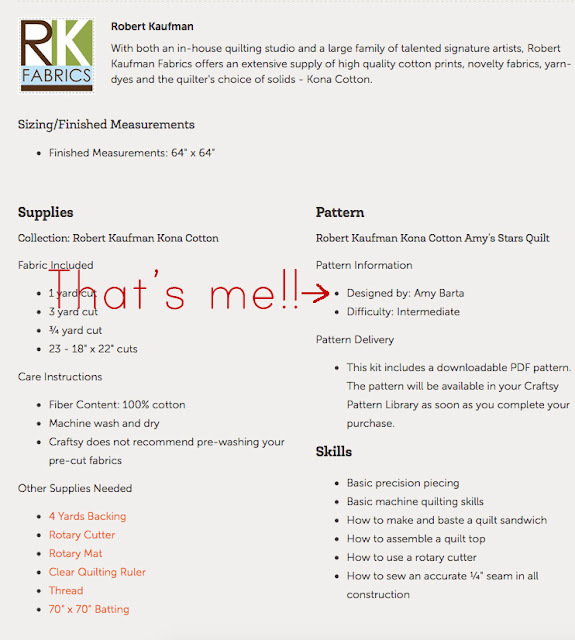 Last Spring, I was contacted by the Robert Kaufman company asking if I would be willing to share a quilt I designed with them so they could make a kit to sell on Craftsy. Of course I said YES!! 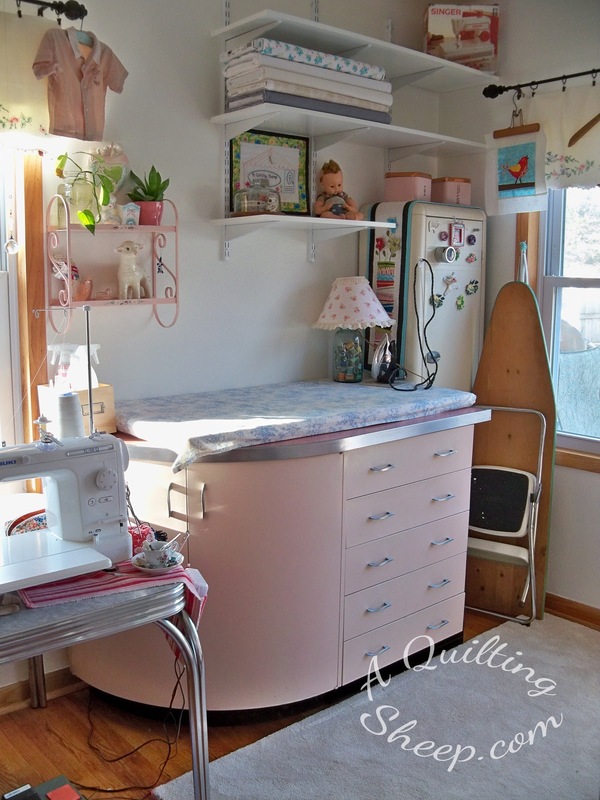 The back story, In January of 2014, I participated in a blog hop organized by Madame Samm called, Wake Up to Kona Solids. 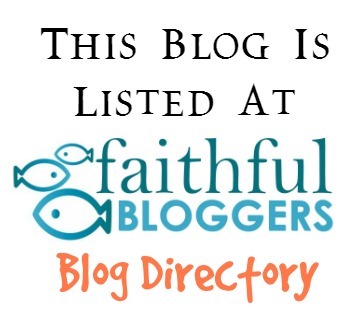 If you look in my sidebar, the most popular post on my blog was from that blog hop. It was that quilt that caught the eye of the Robert Kaufman people. 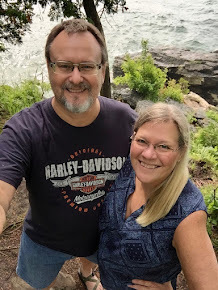 If you follow me on Instagram, this picture was posted in August when I was knee deep in trimming the half square triangles for the quilt they asked me to make for them and to test the pattern they wrote for it. After I finished the top, I sent it to their long arm quilter to have it quilted and photographed. I am still pinching myself! Aren't the photos amazing!!? It's a beautiful quilt! I can see why they wanted to kit this one up! Congrats, Amy! That is SO COOL!!!!! Congratulations. It is a wonderful pattern. On a side note, I think you will like Gooseberry by Vanessa Goertzen because it looks like it would coordinate nicely with Bonnie and Camille. Congratulations Amy!!! You are definitely allowed to walk on air - don't limit yourself to just 1 or 2 days :)! The quilt is BEAUTIFUL! Love the border on it. Love your previous one too, and the backing. Wow! Wow, you're celebrity now! I Love the quilt! You're so talented. Congrats! Just beautiful! Very well deserved, Amy. Yay! Your quilt is just gorgeous, and yes you are famous. Great job. When I get to an intermediate level, I want to make this. I love the solids so much. Amy, this is epic. I am so proud to know you. Congratulations Amy! This could not have happened to a more kind and wonderful lady! 😊 I have always loved that quilt. No it gives me a reason to buy it! Sending you hugs my friend. congrats to the pattern designer!! 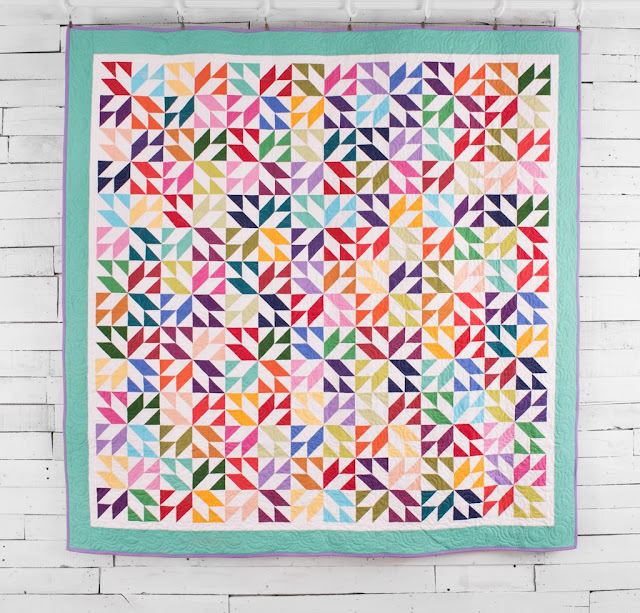 That's one of my favorite quilts you've made - how exciting!!!! Congratulations, dear Amy!!! Congratulations!! :-) How exciting. :-) I'm happy for you. Amy!!! Congratulations!! How very special! And the quilt is a beauty. Congratulations Amy! It is beautiful! You have a talented eye for design, fabric, and color coordination. Congratulations! I'm sooo very tickled for you! I bet your ecstatic!! 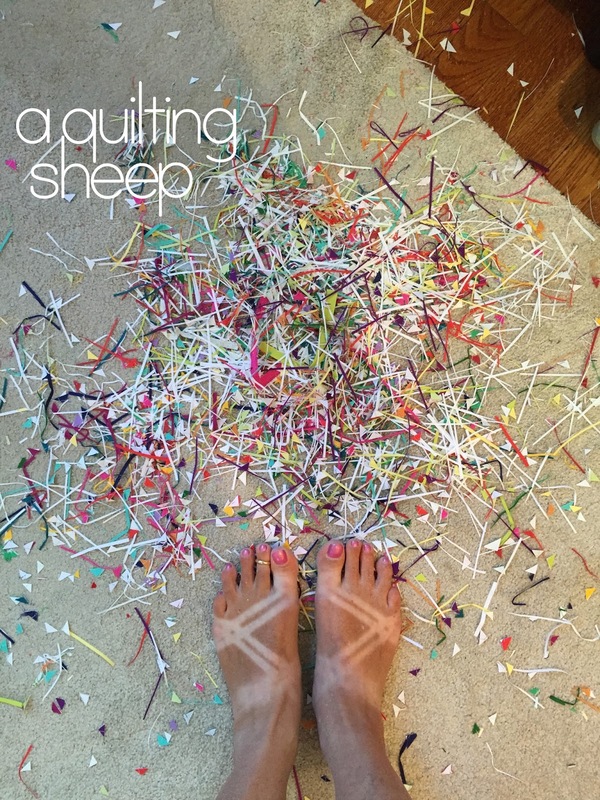 I've found your quilts to be very inspiring for years! Now you get to inspire a greater audience! Again, congrats! That's always been one of my favourite quilts, and I'm SO happy for you!!! Would a thrill. This is so exciting. Congratulations!! Congratulations ... You are famous ... What an honor! 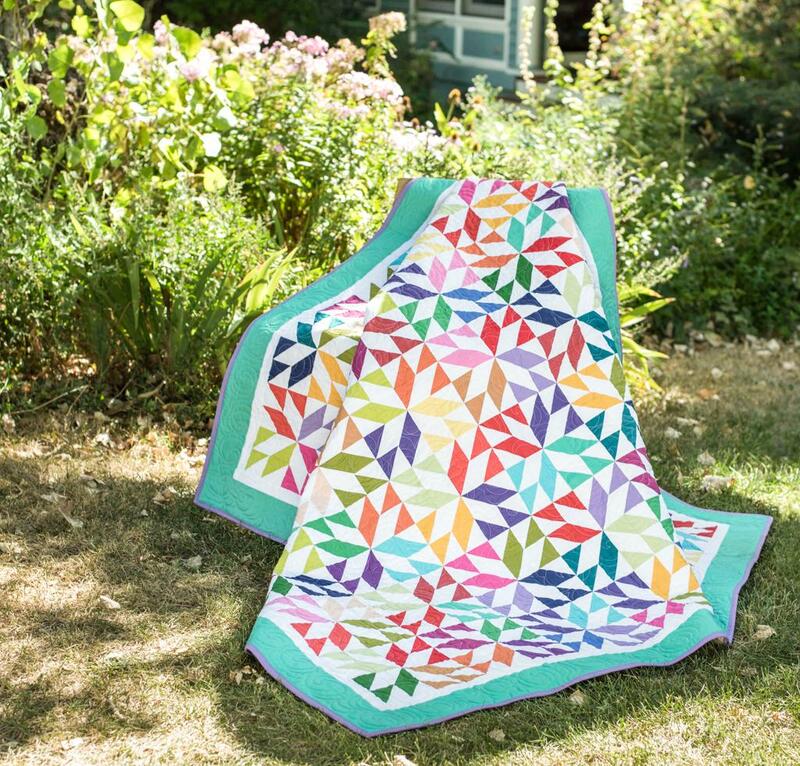 You're quilt is stunning! Amy,Are you willing to sell the pattern? Is the pattern even available? Baby Quilts and A Swoon in the Planning!